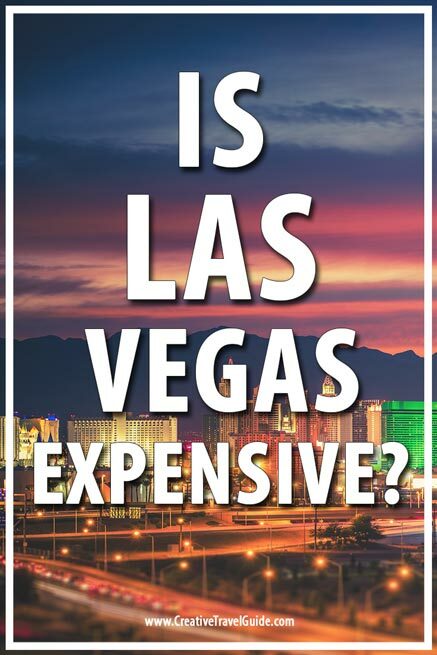 Is Las Vegas expensive? How much do I need to save to be able to book a trip to Las Vegas? These are the two big questions I asked myself when we decided to add the Sin City to our USA itinerary. The answer is simple: Yes! And no! Wait, OK so it’s not that simple. Las Vegas was much more affordable that we had thought it would be in many different ways. However, of course it is more expensive than other areas of the world. We were actually really surprised with some of the prices in Las Vegas and spent far less than we anticipated. That being said, a couple I know (not mentioning any names but a wonderful couple that don’t listen to their travel blogging daughter) visited Las Vegas recently and spent way more than we did. 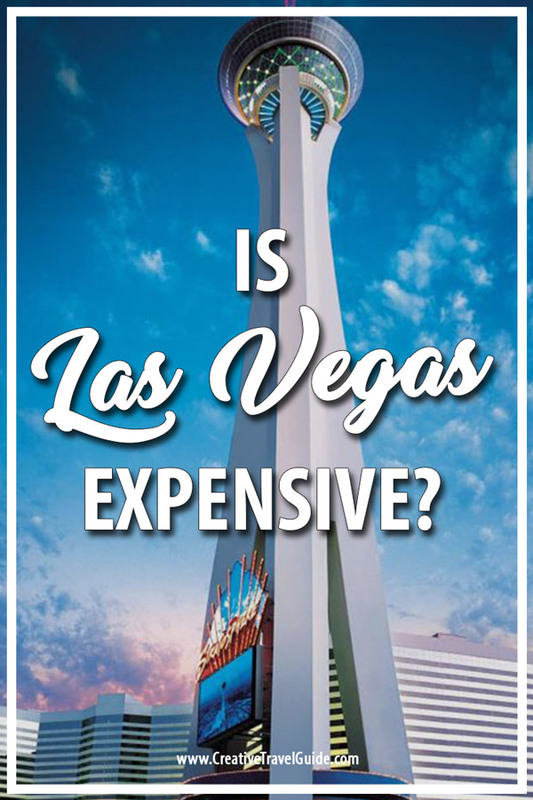 So, I decided to share some of the typical prices you will find in Las Vegas and some tips on how we saved money and how to avoid overspending. 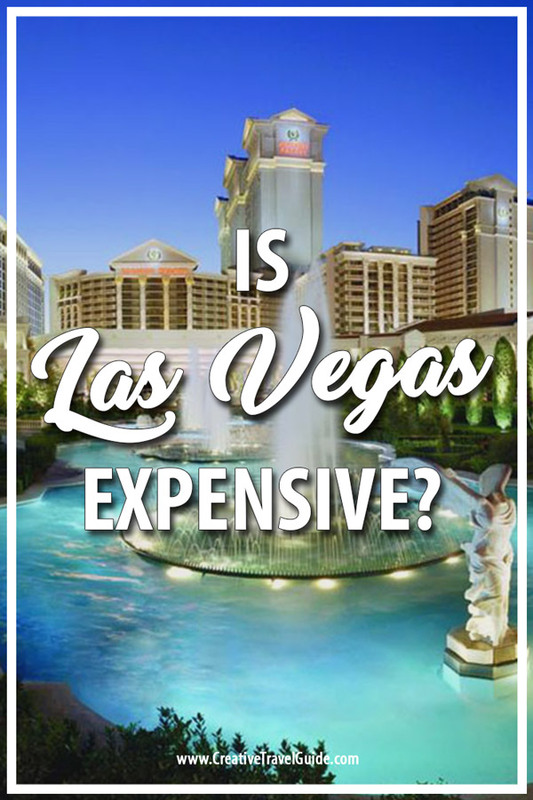 Are Las Vegas Hotels expensive? So for many people, hotels in Las Vegas can be the major expensive! We wrote a blog post comparing the best hotels here but here are some options you can choose from to find the best prices in Vegas. The Cosmopolitan – this is my favourite hotel! In all transparency, this was a splurge. It is actually where Calum proposed so he obviously planned an awesome suite with a beautiful view (we do love a view – see the Instagram shot below). We paid $1155 for 7 nights which averages around $165. We were able to get a deal (yes this was a deal!) on The Cosmopolitan website which allowed 25% off if you book in advance. Most expensive Vegas hotel – There are certainly some expensive hotels on the strip but many of the expensive hotels will have cheaper room options. If you really want to splash the cash, check out some of the most expensive hotels in Las Vegas. 5 star Las Vegas hotels – If you are looking for that luxurious experience, book yourself in at some the best rated 5-star hotels. Mandarin Oriental, Wynn, Four Seasons and The Palazzo are all in great locations, have fantastic reviews and cost around $200 a night. Apartment – If you are looking to stay in Las Vegas with a large group or just want an extra bit of room, you can get some great deals on aparthotels (apartments within the major hotels). Favourites include The Signature at MGM and the Jockey Club Suites; both costing under $100 a night. You could also check our apartments to rent on Owners Direct. Moderately priced Luxury – If you are looking for luxury but don’t want to spend a fortune, Las Vegas has some great options for all types of visitors. Vdara Hotel offers fantastic value rooms costing around $131 and The Cromwell is in the centre of the strip and rooms cost as little as $90. Cheap and cheerful – Because of the excessive amount of hotels in Las Vegas, even the big named hotels on the strip itself have to push their prices down in order to sell. Treasure Island, The Linq, Flamingo, Bally’s, MGM and New York, New York all offer rooms for $50 a night or under. 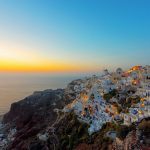 Super saver – For those looking to get a hotel on (or near) the strip whilst saving a lot, you can opt for one of the lesser known hotels or those that are further along the strip. The Stratosphere offers rooms for as little as $22 but is some distance from the other hotels so you will be having to rely on taxis or buses if you wish to explore the rest of the strip. Harrah’s Las Vegas is on the strip with decent rooms costing $35 a night whilst the Hooters Casino Hotel costs the same price and sits opposite MGM. Hostel lovers – For solo travellers or those on a very tight budget, Las Vegas, of course, has hostels to choose from. Hostel Cat is a top rated hotel that organises big group nights out (ideal for party goers) with dorm beds costing $22 a night. 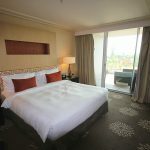 Hotels in Las Vegas on the strip: cheap options – Excalibur Hotel, The Linq and The Flamingo are all great options if you are looking for cheap hotels on the Las Vegas strip. The cost of Las Vegas doesn’t have to be high if you are on a budget. Because there are so many hotel choices, prices are surprisingly low but check events in Vegas before you book your trip. Prices in Vegas can jump up during holidays or when a special event such as a boxing match or concert is happening on the strip. Las Vegas has so many options for food you will want to spend extra time in Las Vegas just to work your way around the restaurants! The cost of food in las vegas strip can range from incredibly cheap to big splurges, suiting all budgets. So here are the best places to eat in Las Vegas on a budget! Buffets – There are some awesome buffets to check out in Las Vegas! Read about the 9 best buffets here. Buffets in the popular hotels on the main strip cost around $40 for a dinner (on average) with our favourite (Wicked Spoon) costing $38 whilst the Bacchanal Buffet at Ceasar Palace’s costs nearly $60. Celebrity restaurants – Las Vegas homes many celebrity chef restaurants if you are looking to splash the cash. José Andrés has three restaurants with The Cosmopolitan, all with contrasting concepts. His restaurant é by José Andrés is the most unusual, requiring a reservation, months in advance for small parties of guests; served a full menu of over 20 courses. Joël Robuchon has a restaurant based in MGM, the only restaurant in Las Vegas to be awarded three Michelin stars. French superstar chef Monsieur Guy Savoy has a restaurant with a view at Caesar’s Palace whilst Julian Serrano has a Picasso inspired restaurant in Bellagio, complete with a romantic view of the fountains. For all these restaurants, expect to pay upwards of $100 per person. Gordon Ramsay – Yes, so he should be in the section above but I am a totally a Ramsay fan (maybe it’s the British thing?) so he gets his own section. Hell’s Kitchen in Ceasar’s Palace will set you back around $75 per person, his BurGR restaurant in Planet Hollywood is a more moderate $25 per person similar to his Pub and Grill restaurant in Caesar’s Palace and his STEAK restaurant in the Paris Hotel will set you back around $90. 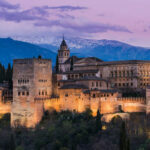 Top affordable picks – Regardless of your budget, it is unlikely that you will want to eat out in buffets and expensive restaurants for every meal. There are some affordable options too! 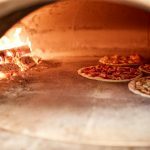 For pizza, head to Hidden Pizza at The Cosmopolitan, Grimaldi’s at Palazzo or A Slice of Vegas in Mandalay Bay. Carlos ‘n’ Charlie’s at Flamingo Las Vegas and Tacos and Tequila at Luxor Hotel Las Vegas are great Mexican food options whilst Beijing Noodle No. 9 at Caesars Palace offers delicious Chinese food. These restaurants range between $20 -$35 per person but most offer big portions so you can always split the food with a friend. 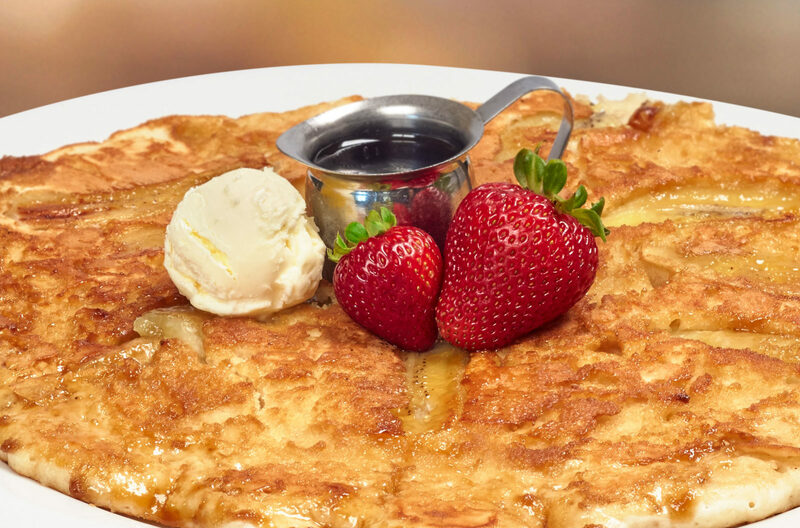 Breakfasts – One place and one place only; Hashhouseagogo Las Vegas! Portions are massive, the food is incredible and prices are reasonable. Head for brunch and stay full for hours! Las Vegas cheap eats – Just like everywhere else in the world these days, Las Vegas still offers your cheap chain restaurants. Avoid eating in the hotels themselves and instead visit one of the eateries inside the shopping malls dotted around the strip to save money. We enjoyed the Nacho Daddy restraint and Chipotle chain found in the Planet Hollywood Resort; meals costing as little as $10. Cheap places to drink in Vegas: As every Vega veteran will say, don’t ever pay full price for drinks. Yes, you can get free drinks in the casino, whilst you gamble. Or you can even take advantage of happy hours around the strip. But for those looking for a cheap drink ($6 or under) at a decent bar then visit Ellis Island Casino & Brewery, Bill’s Gamblin’ Hall ($5 beer pitchers), O’Sheas and Carnaval Court Bar & Grill. You can also opt to buy mixers from Walgreens or the smaller vendors within the malls on the strip and walk around with your homemade drinks; drinks on the street is legal in Vegas so you don’t need to stay in a bar to have a drink. TIP: We saved money by ordering two appetisers to share, saving money on expensive mains but also sell feeling very full! If you are staying on the strip and want to spend your time predominately exploring the hotels and casinos also on the strip, then transport costs aren’t really a thing to worry about. Deuce Bus – This double decker bus drives visitors up and down the Boulevard 24/7; stopping at all the major casinos. Two hour passes cost $6, 24 hour passes cose $8 and 3 day passes cost $20. RTC Bus – Buses that don’t run up and down the main strip cost a more reasonably $1-$2 per trip. Free Monorail – There are two free monorails; one that runs between The Mirate and Treasure Island and the other than runs between Excalibur, Luxor and Mandalay Bay. Las Vegas Monorail – The Las Vegas Monorail runs along the back of the strip from MGM up to Bally’s. Tickets cost $5 one way or $12 for a day pass. Personally we didn’t use this monorail because it is so pricey for the length you travel. Taxis – Taxis are all over Vegas and of course the cost varies depending on traffic and distance. When you arrive in Las Vegas Airport, you will see a list of all the Vegas hotels and the taxi rate; from the airport to The Cosmopolitan is cost us $22. Meters start at $3.30 and increase by $2.60 per mile. Note: Taxi’s will often be lined up around hotels so head to the main exit to get a taxi. They can’t babe hailed on the street in Vegas, you must be picked up from a physical address. There are some fun and romantic things to do in Las Vegas that suit every budget! The #nynyvegas hotel! #lasvegas #thestrip What's your fave #vegas hotel?! Cheapest time to go to Vegas? Las Vegas is good fun to visit all year round but visiting at certain times of the years can help you save serious money! Jan – Feb: The holidays are over, children are back to school and most people are heading off to work after having time off over Christmas. This is the perfect time to visit Las Vegas because hotels will be cheaper, crowds are fewer and therefore shows and attractions are likely to offer better deals in the hope to attract those who are in Vegas. Plus, it is much cooler at this time of the year and flights are generally a lot cheaper in these months than any other time in the year. This really is a cheap time to go to Vegas! July – August: Las Vegas is incredibly hot during this time of the year so many people will avoid visiting in these months meaning you can enjoy the savings! End of November – the start of December: The time between Thanksgiving and Christmas can be a great time to visit Las Vegas because prices drop as the crowds thin out. How much will my Vegas trip cost? 1-week in Las Vegas budget – cheaper hotel on the strip or hostel, cheap eats, free or minimal attractions: Approx $600 for a couple. 1-week in Las Vegas moderate – moderate but luxury hotel or apartment, a few top class restaurants or buffets and 2-3 more expensive attractions: $1200 for a couple. 1-week in Las Vegas Luxury – 5-star hotel/suite, top class dining, the majority of attractions and a show: $3500+ for a couple. We love Vegas and I hope we have given you some insight into the prices you can expect to pay on your visit. What are your favourite things to do in Las Vegas? Do you think Las Vegas in expensive? Let us know in the comments below! Heading to Vegas? 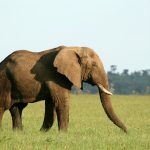 We have plenty of guides and posts to help you plan your visit! Great breakdown! I was actually surprised how affordable Las Vegas was when we visited it. Both accommodation and food prices were great I thought, as we were not looking for luxury. I really want to visit Las Vegas – hopefully we will get the chance in a few years when we visit the national parks! Las Vegas is also fab because it’s not too far from the Grand Canyon! I was also surprised how affordable Vegas can be. Although I think it is the attractions like Madame Tussauds that bump it up. There’s still loads to walk around and gawk at for free though. Sounds like you had a fab time! I’ve been to Vegas probably ten times and I think the hotels are very affordable! If you think about it, you could stop in a Holiday Inn in any random U.S. city and pay $125/night for a basic room. You can pay the same price in Vegas, say the MGM, and be at an incredible hotel and city! Yeah I know we love it!! We paid the same price for a suite in Las Vegas as we did in a Econo Lodge in Times Square! What a very helpful guide for those who are planning to visit Las Vegas. Well I thought it’s really expensive but with all these list I could say that it’s not that expensive at all. I might book a flight soon! I love your photo from Cosmopolitan Hotel it’s so gorgeous! Hi guys I lived in Las Vegas for three years and can tell you that the Strip isn’t all there is to Las Vegas. Try staying at one of the hotels on Fremont Street Downtown . The Deuce bus and SDX buses can get you there as well. Also, the hotels on the Strip may be beautiful, but their resort fees are higher than some of the hotels Downtown . Some of the hotels that people may want to try are The D, Golden Nugget ,Four Queens, Downtown Grand, Plaza and Main Street . Main Street has one of the best buffets downtown and Golden Nugget has a pool where you can swim with sharks. You’re separated from the Sharks, btw. Thanks for breaking this down!! I haven’t been to Vegas in over 5 years, partially because I keep telling myself it’s so expensive. Reading this makes me realize that it’s possible to do Vegas on a budget! Thank you for this post. I have plans to visit Las Vegas in the summer and I am on a budget so this will be very helpful. This is a very good guide to Vegas!!! It is a complete guide, I love it! I’m actually going to Vegas this week, so this was very helpful. I got a great deal on a room at the Bellagio, so I’m excited about that. The tips about transportation were very helpful because I plan on going to Downtown Vegas and the Strip so I want to be able to get around between the two! Really nice breakdown. And the Strip is the most expensive place in Vegas. Get off the Strip and prices down A LOT, including by going downtown which is just as glitzy and glamour but without the high prices. But the real fun part is digging out the little hole in the wall places along the Strip with amazing food and cheap prices. This would be a very useful guide to when I make my way down to Las Vegas. A really comprehensive list of recommendations. I particularly appreciate the recommendations on food and accommodation.